TOKYO, Nov. 2, 2018 /PRNewswire/ -- Global digital asset platform Liquid today announced that it will list USD Coin (USDC), a regulated, US dollar-backed stablecoin governed by CENTRE, an industry consortium co-founded by Coinbase and Circle. Initial USDC trading pairs on Liquid will include BTC and ETH. Traders will be able to buy and sell USDC to protect their investments at times of price volatility, while the tokens can be quickly and cheaply transferred over the blockchain, far more efficiently than moving fiat. Each USDC represents a single US dollar and moves neither up nor down relative to its reference currency. One USDC is a 1:1 representation of a US dollar on the Ethereum blockchain. Each USDC is 100% collateralized by a corresponding US dollar held in accounts subject to regular public reporting of reserves. "We are thrilled to see Liquid launch support for USDC. As the leading exchange for the Japanese Yen market and a pioneer in the cryptocurrency exchange market, they are a strong partner for USDC. We share a common vision of an open, connected and global financial system built on cryptocurrency assets and blockchain technology, and this is an important step in reaching that goal as we connect additional major markets with open fiat rails. We are looking forward to future collaboration with Liquid as we expand our efforts in this space together," said Circle CEO Jeremy Allaire. 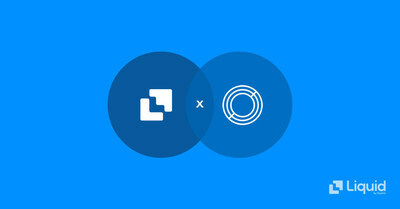 "Circle is a natural partner and ally for Liquid as we share common values in our motivation to clean up cryptocurrency, bring much needed liquidity to the space and lay the foundations for the kind of sector-wide stability that will lead to the next wave of adoption. This pro-regulation partnership is more than just a listing of USDC. This is a pledge between Liquid and Circle to join forces together and with other regulated actors to legitimize cryptocurrency for the whole world," said Liquid CEO Mike Kayamori. Circle is a money services business registered with FinCEN and holding 48 US state money transmitter licenses. Circle was also the first recipient of the BitLicense issued by the New York State's Department of Financial Services (NYDFS) and is actively working with NYDFS to bring USDC to New York customers in a regulated way. Quoine, the fintech company behind Liquid, is licensed by the Japan Financial Services Agency (FSA). Quoine is a member of the Japan FSA cryptocurrency self-regulatory body, JVCEA, mandated to formulate guidelines for cryptocurrency exchanges in Japan. Circle is a global crypto finance company on a mission to make it possible for anyone, anywhere to help change the global economy. Circle believes money should be like the internet -- open, secure, free, everywhere.